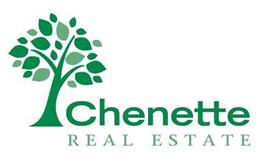 I'm happy to say that I've been in Vermont real estate sales for over 30 years, specializing in Chittenden County real estate, and I’ve had the privilege of helping hundreds of buyers and sellers throughout the Greater Burlington area with all their real estate needs. I graduated from UVM in the early 80’s and taught high school for a number of years at Essex Educational Center. Then I began my real estate career, perhaps taking after my grandfather who was a real estate agent until he reached his early 80’s! Throughout my career I have consistently ranked as a top sales associate in our area, and I’d appreciate the opportunity to put my real estate experience to work for you if you are buying a Vermont Home or selling Vermont real estate! I specialize in properties in Chittenden County but can help you in all areas of Vermont real estate.